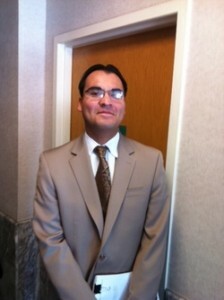 Michael Benavides is a contract attorney for Sacramento Law Group. Mr. Benavides regularly represents clients in chapter 7 and chapter 13 bankruptcy. Why take a chance when considering and pay twice the attorney fees for the same thing? 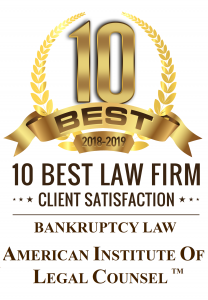 In fact I will say we can provide you better service than anyone else and, our fees, on average, are much lower than other bankruptcy lawyers because we know what we’re doing. You are not paying for anything more or less than a professional service and we have no hidden fees. Our number one source of clients comes from online traffic, from readers like you considering costs. Our clients love the fact that they can call us, get straight answers and get the job done right the first time. We always strive to treat our clients with respect and fairness, returning calls one client at a time. We understand that filing bankruptcy can be extremely stressful, so we try to give you easy to understand information quickly. Call 916-596-1018 for a consultation with a lawyer. The hiring of a lawyer is important to your future! So what can I expect? When you discuss your individual circumstance? Declaring bankruptcy can be the first step to better credit – it can be true! But you should do this only after you have discuss your options with an experienced bankruptcy lawyer, and what it means for your future. Attorney Michael Benavides can explain the individual steps of filing bankruptcy and discuss your options today. He can answer your questions, especially considering your credit, your options, and our low fees. This could be the first step toward a better future for credit today and tomorrow! Michael Benavides will review your situation and recommend the best course of action for you. He will explain the bankruptcy process may be able to help you make a new financial beginning.